From now until Christmas we have weekly Surprise Sales. They run from Friday to Friday. 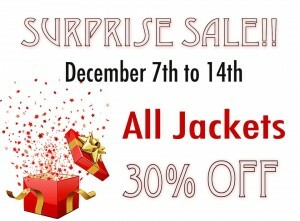 This week all jackets are 30% off!